When you have little time for a weekend in Santa Barbara County – you plan ahead, get your ducks in order and set forth to conquer. 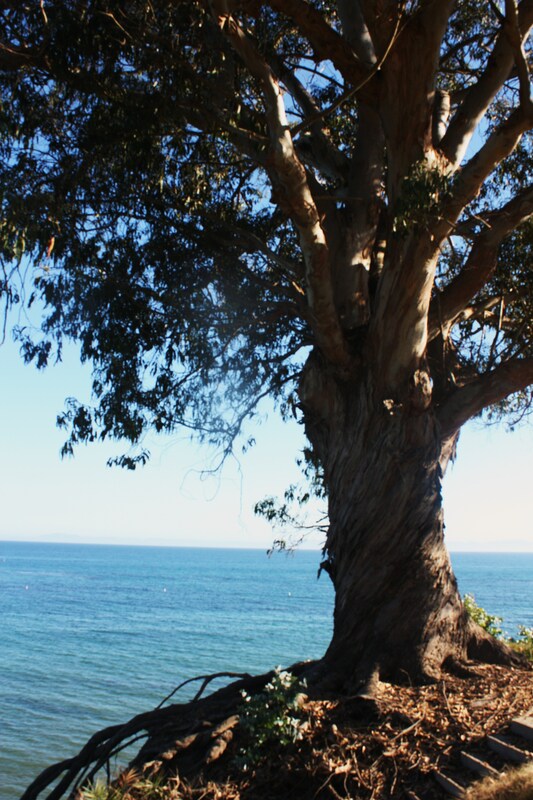 Santa Barbara has been referred to as the “American Riviera” and I would never argue with that comment. The architecture reflects Spanish Revival, rich ornate and a little rustic. I selected my Bally Loafers for the first day’s journey and my first stop was at the Hungry Cat for a proper and pleasurable brunch. A delicious glass of “extra trocken”, bruder rheinhessen champagne followed by Crab cakes Benedict with black kale, house-smoked bacon and hollandaise. Absolutely delicious. 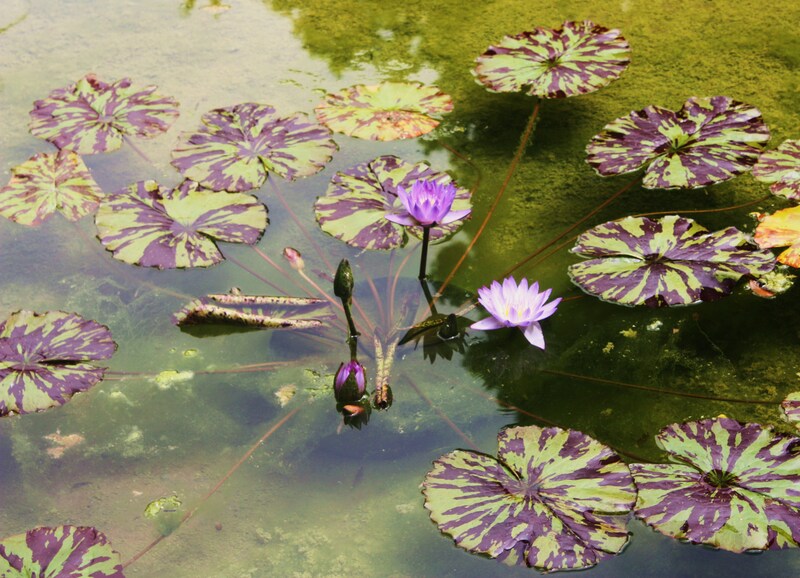 My next stop was Ganna Walska’s Lotus Land in Montecito ( 10 minutes drive from Santa Barbara). 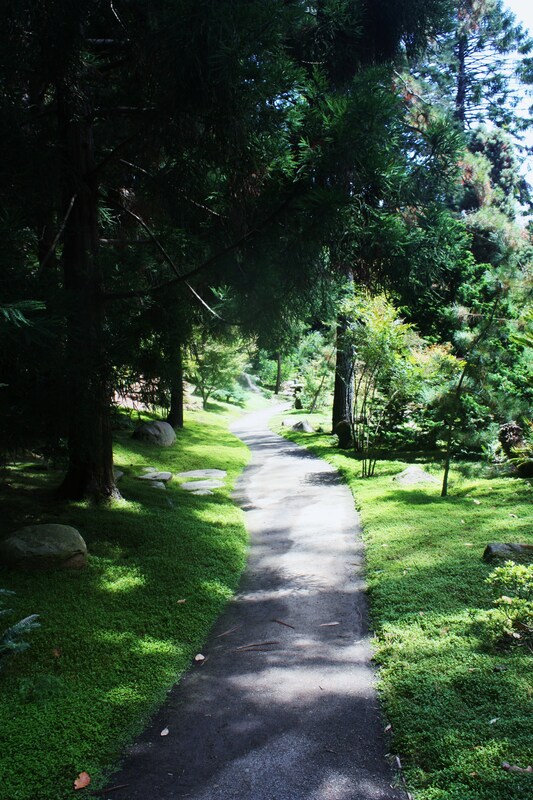 I felt sure Montecito was where Oprah and Ellen DeGeneres lives because of the hidden lush driveways and Estates peaking thru the 100 year old trees. 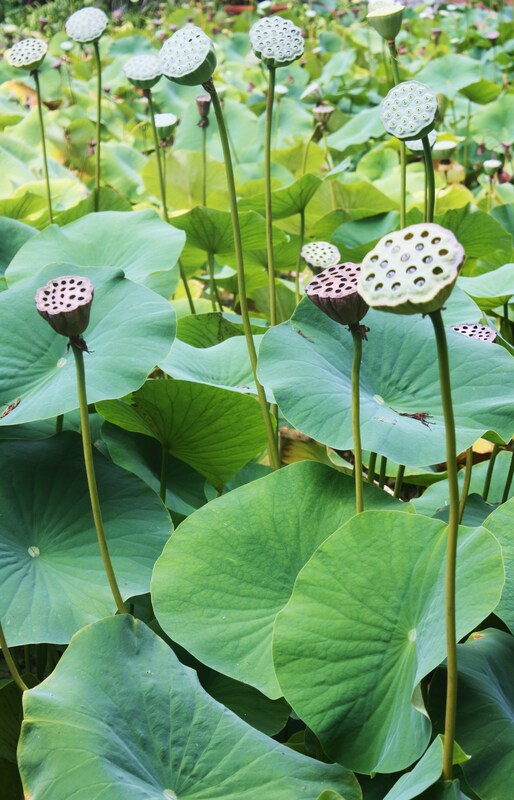 Lotus Land is a 37 acre botanical wonder housing 9 different gardens which included an Australian Garden, Japanese Garden, Water Garden, Aloe Garden, Cactus Garden, Bromeliad Garden, Cycad Garden, Topiary Garden, and Tropical Garden. 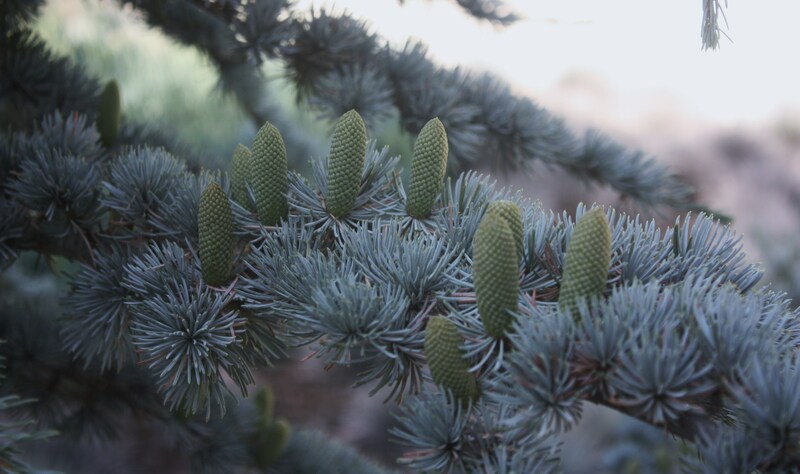 I reserved a 2 hour tour with a docent who shared background history and details on the plants. It was a beautiful place to visit. The main purpose of the trip was to attend my Dad’s Memorial in Santa Maria the next day. I headed 101 North and enjoyed a breathtaking coastal drive the first 45 minutes leaving Santa Barbara followed by pastures of cattle, horses, llama, and sheep as I approached Santa Maria. Classic Music accompanied me on my little journey. My sister from Virginia joined me in Santa Maria and together we paid our last respects for our Father’s Memorial. We stayed at the Historic Santa Maria Inn, which felt “historic and old”, but the restaurant made up for the accommodations. We had two great meals there, a delicious brunch in the courtyard, followed by an impromptu fashion shoot of Julia. That evening we ate in the dining room and shared a mouth watering tri tip dinner – which is what Santa Maria is known for. Yum Yum!!!! We both flew home the next day. I was flying out of Santa Barbara in the evening so I had a few fun hours to kill before coming back to reality. I started my day enjoying lunch at Arts and Letter’s Cafe . 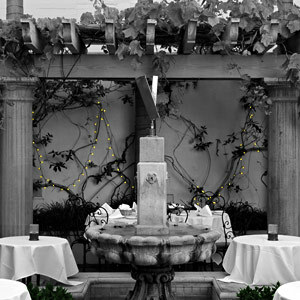 The Arts & Letters Café serves classic California cuisine set in a beautiful courtyard in the heart of Historic Arts District in downtown Santa Barbara.The Chef participates in the Santa Barbara First program to ensure the freshest ingredients. He uses farmers, ranchers and vendors with local ingredients and sustainable raised seafood to prepare his fare in the California tradition. I enjoyed a delicious Seafood Salad, accompanied by artisan bread and olive oil that was so fruity and delicious I ate the whole basket of bread just so I could dip in the olive oil. Me Bad!!! Upon using the restroom I thought it was hilarious they were selling a $14,000 painting right across from the toilet! After lunch I decided to stroll down State Street and do a little shopping. My successes were at Crossroads, Nordstroms, and H& M. Lots of fun taking my time and looking at everything. 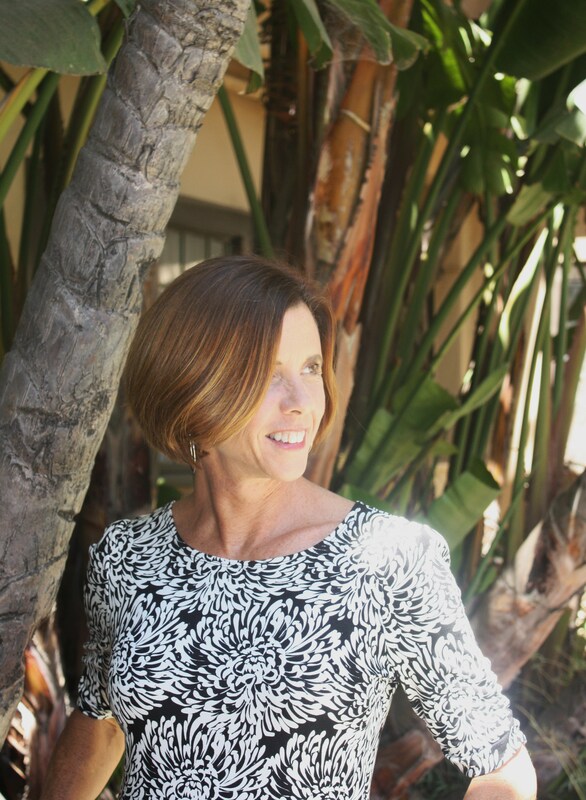 I hardly ever shop like that– I guess you can call it vacation shopping- . Break time for A delicious espresso at French Press while resting my tired limbs, and watching the world go by. A quick drive to the Harbor and Ocean and then time to say good bye to the American Riveria. 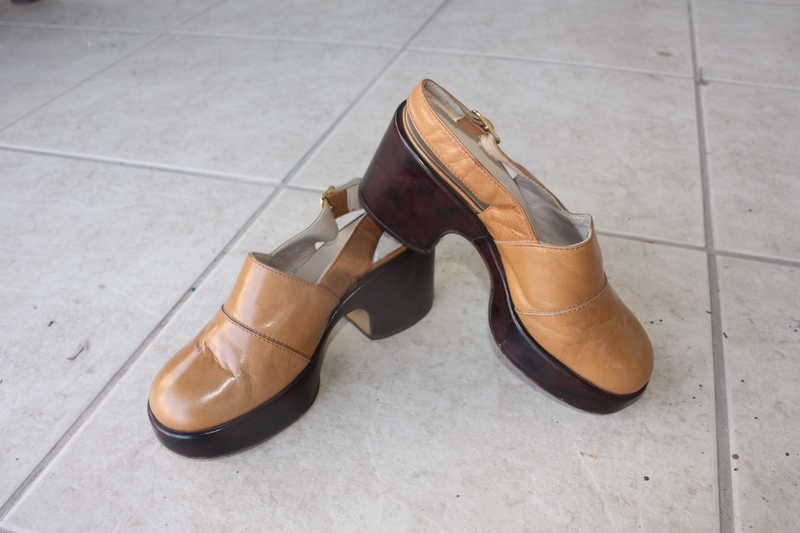 I am lucky to own 3 pairs of Bruno Magli shoes! 1. 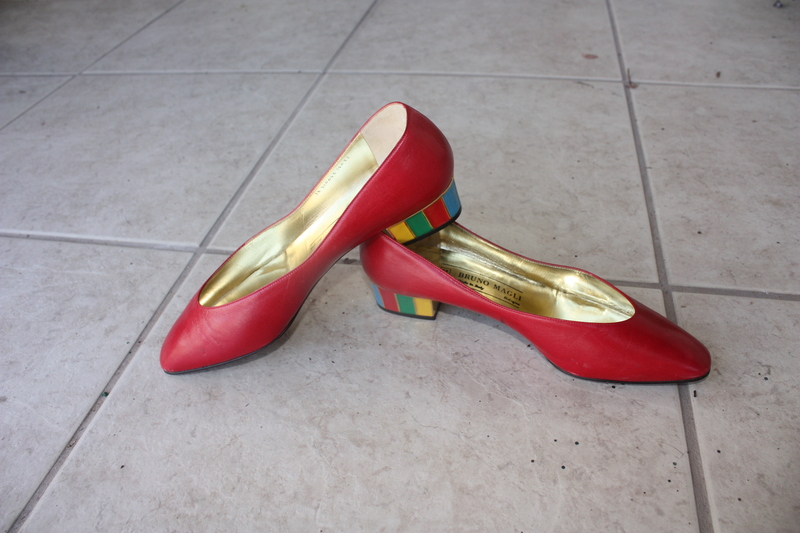 Red Leather Flats with an Enamel “Circus Heel” This shoe grabs so much attention with that fabulous heel! 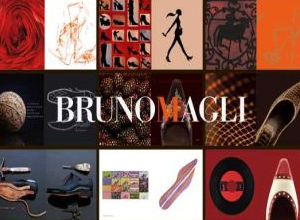 When I think of the upscale brand Bruno Magli I immediately equate that to Neiman Marcus or Saks in which it is going to cost beaucoup bucks for a pair of shoes in the range of $200-$400 unless I get lucky with an end of season sale. 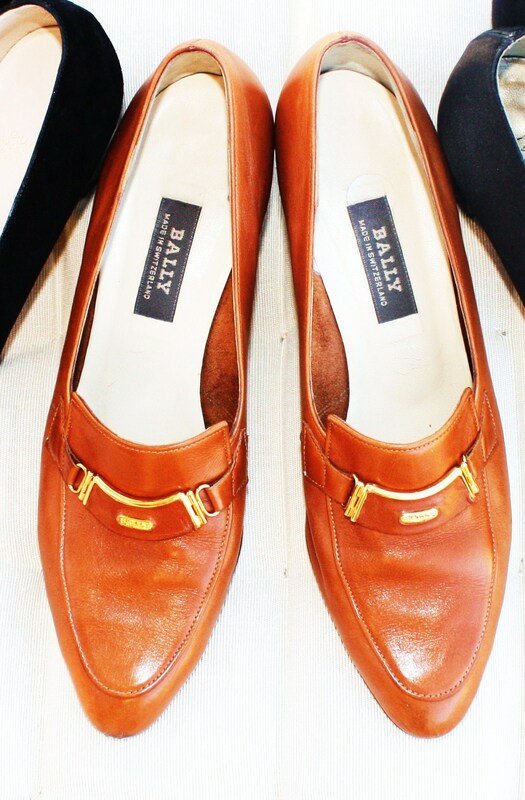 Well I did even better than that because all my Bruno Magli’s were purchased at Buffalo Exchange all under $30.00. 3. Gun Metal Patent Walking Wedge. Great for travel I took these to the YSL Exhibit in Denver. I was stylish and comfortable. For a little background history Bruno Magli started crafting women’s shoes in a small basement in Bologna, Italy, in the 1930’s. The Magli Company developed a franchising retail network which led, in about twenty years, to around 40 “franchises”, around the world. Magli is now a privately-held upscale brand leader in men’s and women’s footwear, leather clothing, women’s handbags, luggage items, small leather goods, and other accessories. Photos were later shown to the jury of Simpson at a football game, wearing shoes positively identified as size 12, Lorenzo-style Bruno Maglis. Due to this public awareness, the Bruno Magli name became famous but the company no longer makes the “Lorenzo” model due to the sensitivity of the scandalous murder . As I was visiting the Bay Area last week, I had the luxury of watching the Olympics in my hotel room at night after my daily excursions. I viewed the gymnastics, swimming and track. I couldn’t help notice the majority of the athletes on the track field were wearing lime green shoes. These shoes are the hottest trend that has emerged for the London Summer 2012 Olympics. It is the Nike Flyknit Race Shoe. 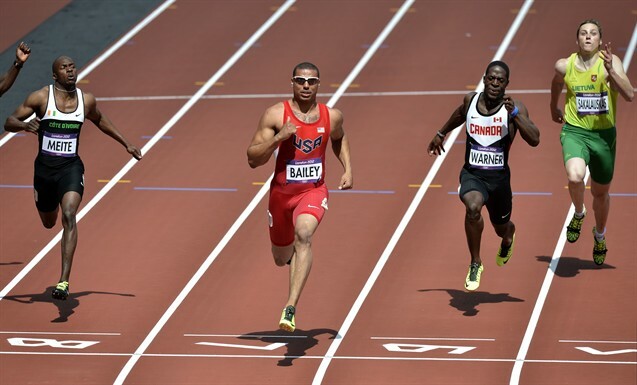 Olympic Track & Field participants from the United States, Kenya and Russia, are currently competing in Nike’s special sneakers. Also various A-list American athletes seen wearing this shoe during the 2012 Olympic medal award ceremonies include: The Fab Five (gymnasts Jordyn Wieber, Gabrielle Douglas, McKayla Maroney, Alexandra Raisman and Kyla Ross), gymnast Danell Leyva, Iconic Olympian Michael Phelps, swimmer Ryan Lochte, swimmer Missy Franklin, swimmer Elizabeth Beisel, and 15-year-old champion Katie Ledecky. Other Olympians seen around London Town strutting in their Nike Flyknit Racers include: Team USA basketball player LeBron James and his teammates Carmelo Anthony and Kevin Durant. A limited edition collection called the HTM Flyknithas similar design elements to the Racer. This design is a bit more streetwear-friendly and will be sold in cities: New York City, Tokyo and London. Interestingly enough as I was at San Jose Airport on my way home the trend had already caught on as I saw a man waiting for his departure in his Nike Flyknit Racer’s. The Flyknit pattern, which took a few years to design and execute, has a lightweight knit upper, which makes it very easy to wear; as if one is wearing a pair of socks, with great sole support. The goal of this Olympic-standard product, stated by Tony Bignell, director of footwear innovation at Nike’s Innovation Kitchen, was to “engineer a sock into a high-performance shoe”. The Nike sneaker is made up of a feather-light, high-quality polyester yarn, which makes for fantastic durability and elasticity. On a final note some Olympic Heroes don’t need shoes at all. Just strength, determination and the will to never give up. 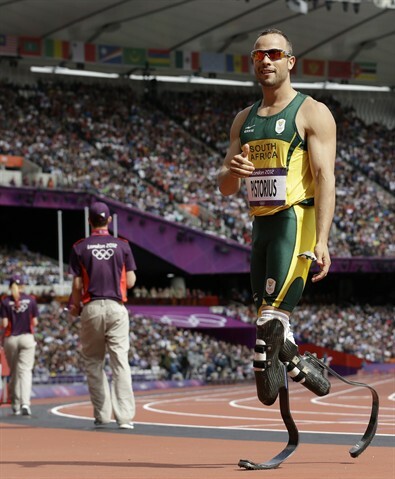 South Africa’s Oscar Pistorius competes in a men’s 400-meter heat during the athletics in the Olympic Stadium at the 2012 Summer Olympics.